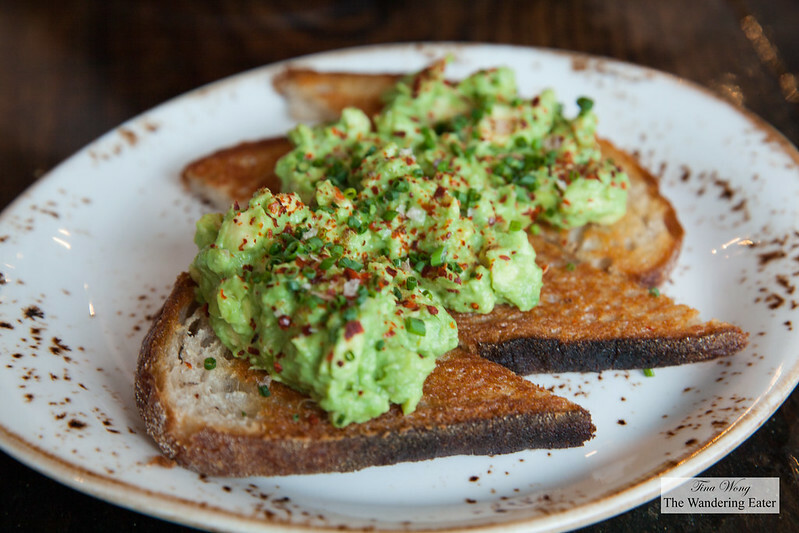 If you’re searching for a really creative breakfast in Chicago, I highly suggest going to Mortar & Pestle in the Lakeview neighborhood. 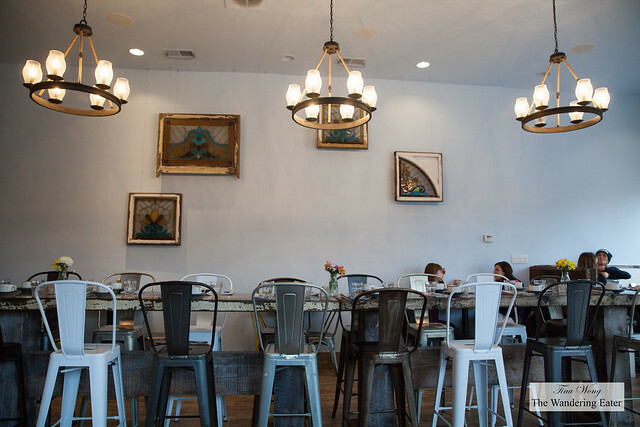 This daytime restaurant is spacious with a cozy, rustic look. There’s a long wooden communal table in the center of the room surrounded with two tops and four tops. 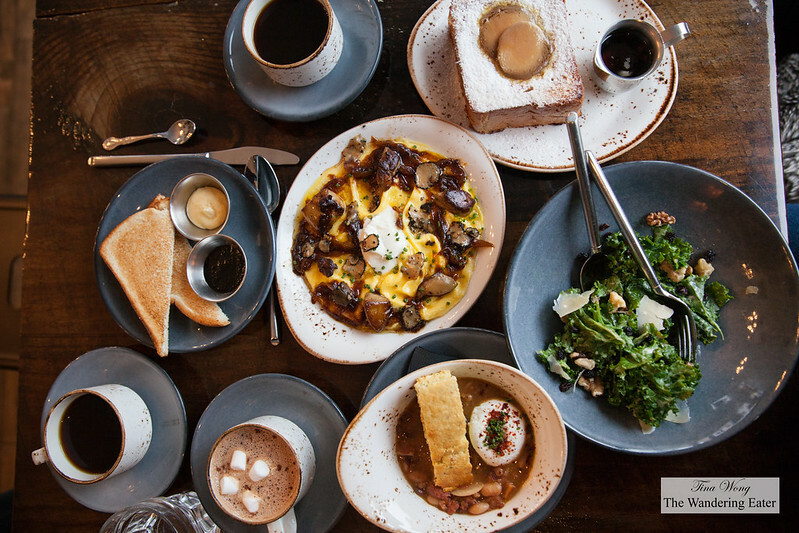 The menu is eclectic since it varies ranging from fried cheese curds, classic English breakfast, chicken paprikash to foie gras and eggs. As someone who’s jaded seeing and having the typical eggs benedict, waffles and pancakes for breakfast, I’m pretty stoked to see an interesting menu that crosses multiple food cultures and it the food actually tastes really good. For starters, we had the ubiquitous avocado toast and it was good as expected. 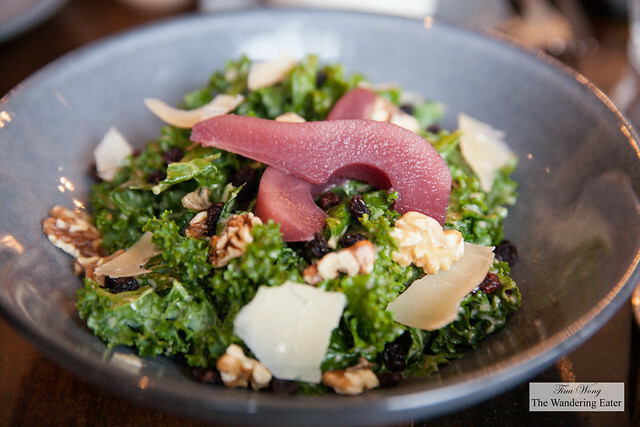 The kale salad, quince vinaigrette, poached pear, currants, toasted walnuts, and Sarvecchio Parmesan was a very good, hearty salad. The sweet, tart and nutty flavors work perfectly and there’s enough varied textures that makes you want to keep eating this salad. 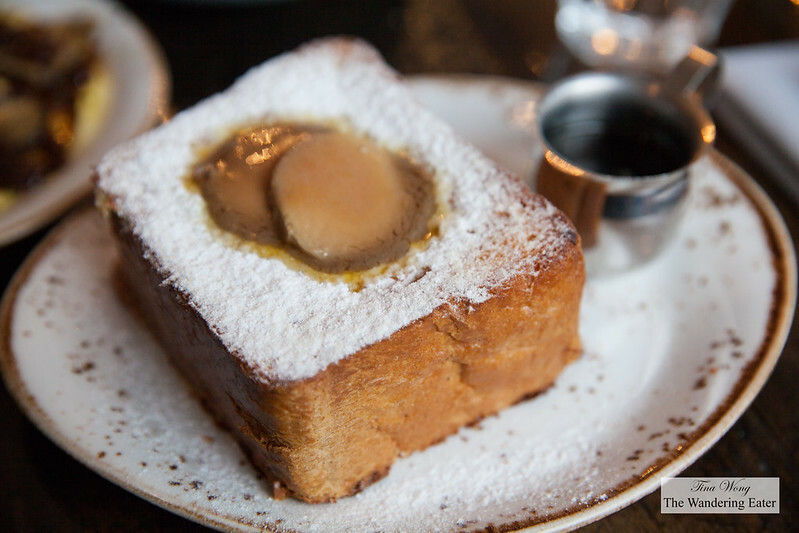 The foie gras French toast and foie gras and eggs are the things to get if you want to get rich and indulgent dishes early in the morning or afternoon. 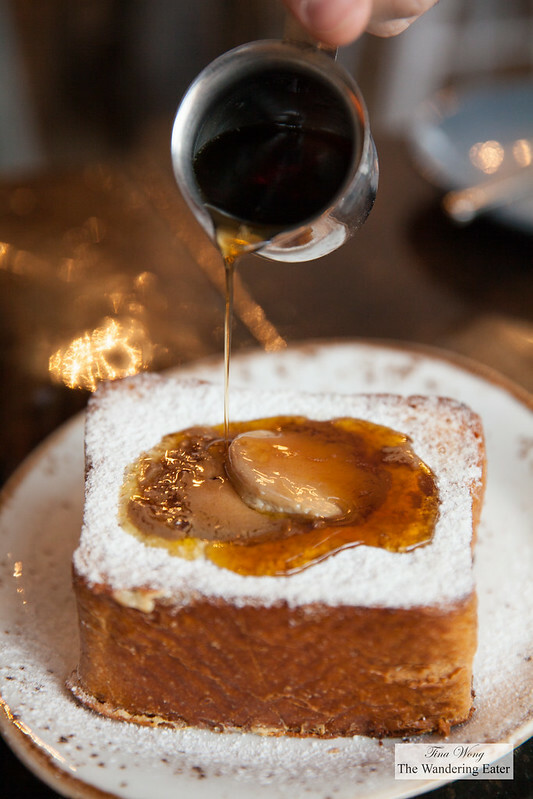 The foie gras French toast was very tasty having the just sweet custard permeating through the thick slices of brioche. The heavy coating of powdered sugar balances out the sweetness of the slices of melting foie gras torchon. 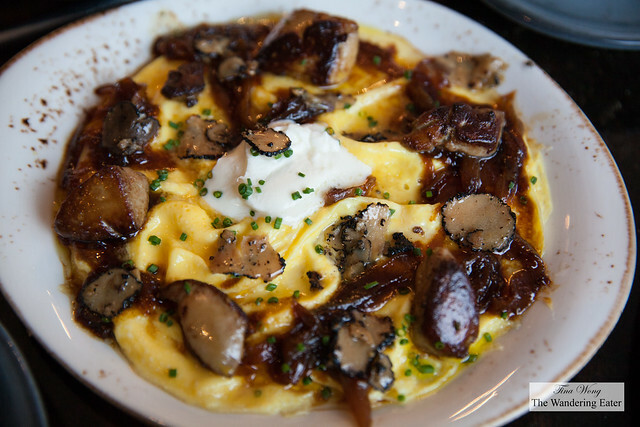 The plate of foie gras and eggs are my ideal, extravagant soft scrambled eggs. 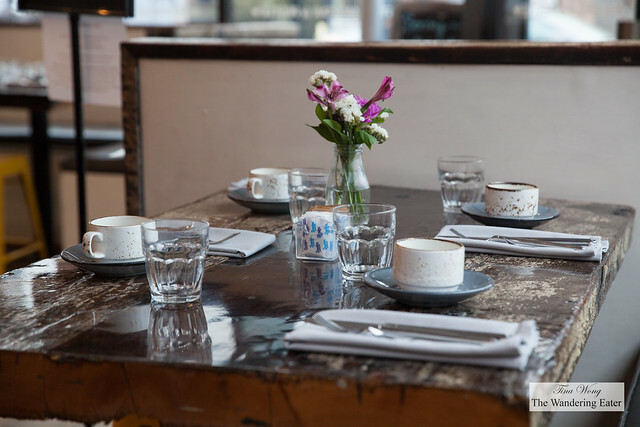 It’s topped with truffle carpaccio, creamy creme fraiche, chives, and caramelized onions, served with a side of toast. The eggs were cooked perfectly and the toppings made these eggs extra special. 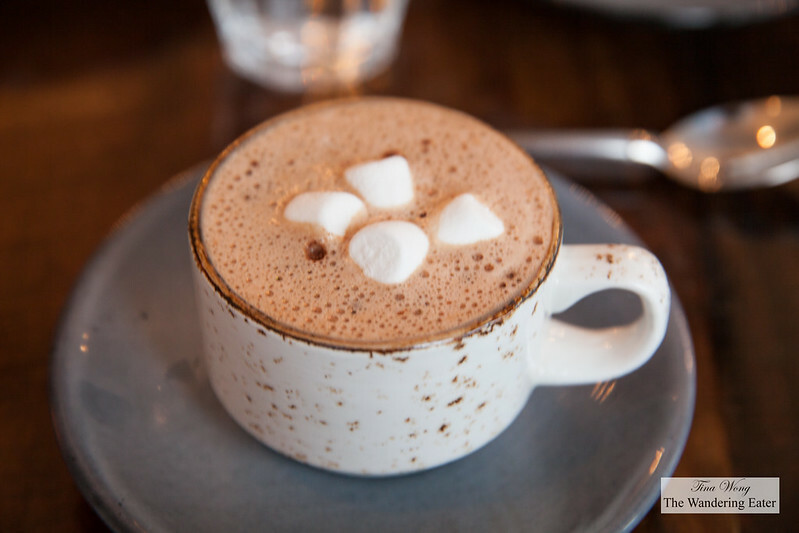 If I lived in Chicago, I would consider eating this once a week despite the fact my cardiologist would advise me against that. 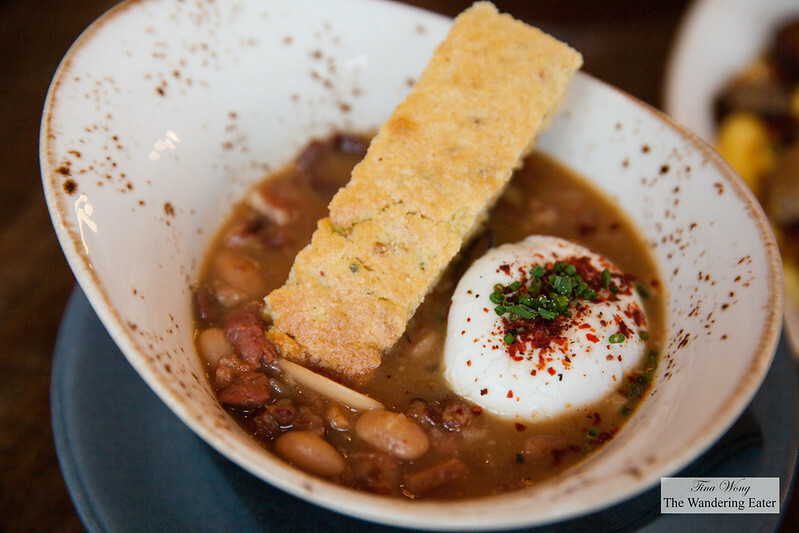 If you crave something that feels like a comforting, warm blanket, the breakfast cassoulet is the thing to order. Heirloom beans that are cooked until it’s soft almost mushy (my preferred texture for braised beans) with chunks of fingerling potatoes, house made sausages, Benton’s bacon, poached egg and chicken demi glace. The crouton of jalapeno and sage cornbread was a nice way to sop all of that sauce. 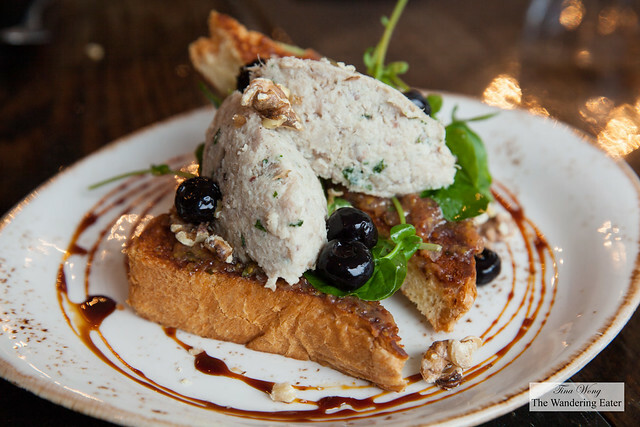 Another dish that was memorable was the special that the kitchen had — rabbit rillets on brioche toast topped with saba and 10-year old pickled blueberries. The rillets were creamy, subtly sweet and delicious and the aged pickled blueberries elevated this dish to another level.